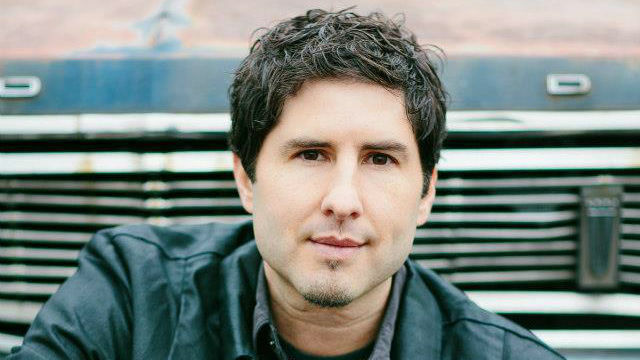 Growing up in National City, Matt de la Peña never had a chance to attend Comic-Con. But there he was Thursday, not only attending his very first Comic-Con but serving as one of the stars of the first day as he talked about writing a Superman novel. An award-winning author of young adult novels, de la Peña was on stage and under the spotlight talking about his first foray into the superhero genre and feeling somewhat overloaded as he peered out into a room full of fans. De La Peña is a New York Times best-selling author who has written six young adult novels, including “Mexican White Boy,” “The Living” and “The Hunted.” Though he grew up here and earned a degree in creative writing from San Diego State University, he now lives in Brooklyn, where he teaches creative writing and visits high schools and colleges across the country to talk to students. His success with those novels caught the attention of DC Comics, which asked him and other young adult writers to write books on the early years of iconic characters for a DC Icons series. In de la Peña’s case, he’s writing about young Superman. It’s created challenges, and incredible opportunities. “We bring the things that we’re doing in our other works to the Superman character,” said de la Peña. And that means exploring a young Superman’s early angst about what to do with his powers and who to confide in about those powers. In a way, he said, it’s not too different from writing about the challenges young adults face. “This is the part of your life where you’re inventing your public self,” he said. Still, delving into the life of an iconic character meant more preparation than usual and more research about the Superman canon, including what he joked was his most fascinating day, spending six hours reading online posts of criticism of Superman movies. De la Peña said it’s been fun. “It’s been a crazy, overwhelming experience,” he said.